For years, one of my favorite fabric stores in the U.S. has been Undercover Quilts near Pikes Market in Seattle, WA. On my most recent trip, I got to visit with owner Linda Hitchcock who shared that they have been in business for over 20 years. The shop is nestled in an indoor multi-level string of shops that extends down 1st Avenue from the famous 'fish throwing' seafood seller at Pike's Market. I first found it during a web search for quilt stores before a visit to Seattle. Once I visited, I have managed to get back there at least once a year to stock up on whatever catches my eye. 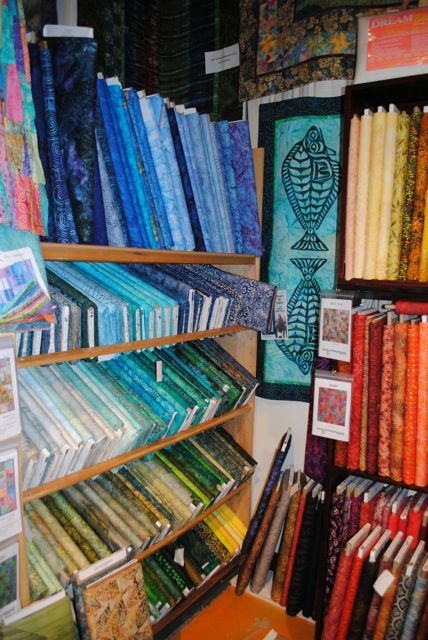 In my humble opinion, what Undercover Quilts excels in are batiks. 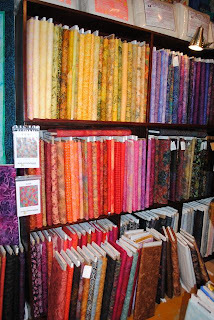 Linda must have a very similar eye in fabrics to me as I never fail to find just the fabric that I think I need for a particular project that I am working on at home. In fact, since I have a very strict rule when I am traveling that I never check a bag, I have been forced more than once to ship home my purchases as I can get carried away with what I buy in the store. 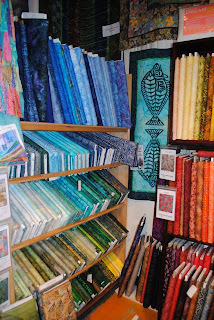 If you look at the photos below of just some of their batiks, you can see why I never miss visiting the store. 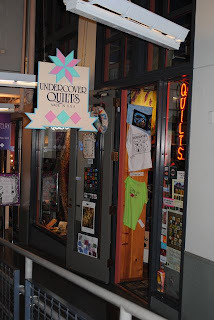 The website address for Undercover Quilts is www.undercoverquilts.com. They are redoing their website right now but there are links for various ways to get in touch with them. If you happen to be in Seattle, their address is 14111 1st Avenue #106. 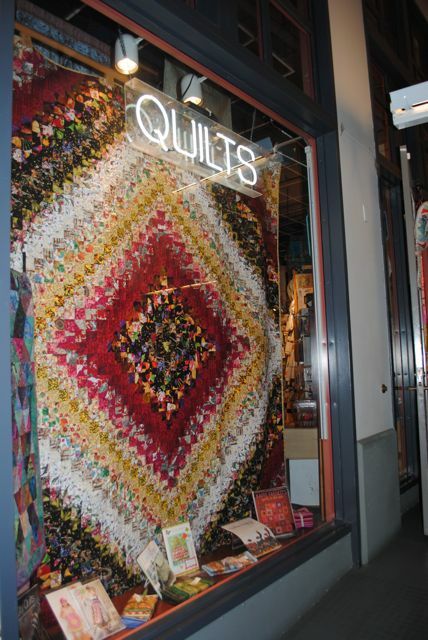 Their email address is quilts@serv.net. Thank you Judy for such a sweet blog about our store. Hope to see you again very soon! What a wonderful looking shop! I can see how you could get carried away and need to ship your purchases home! If I ever get to Seattle, I'll be sure to stop by. 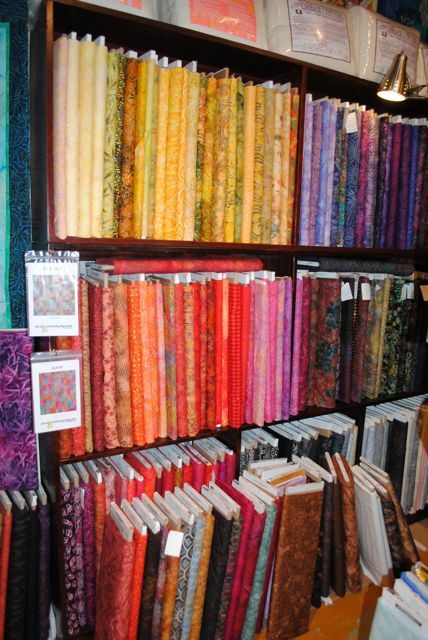 I've bought batiks at Undercover Quilts too! PS: Thanks for adding me to your blog roll.